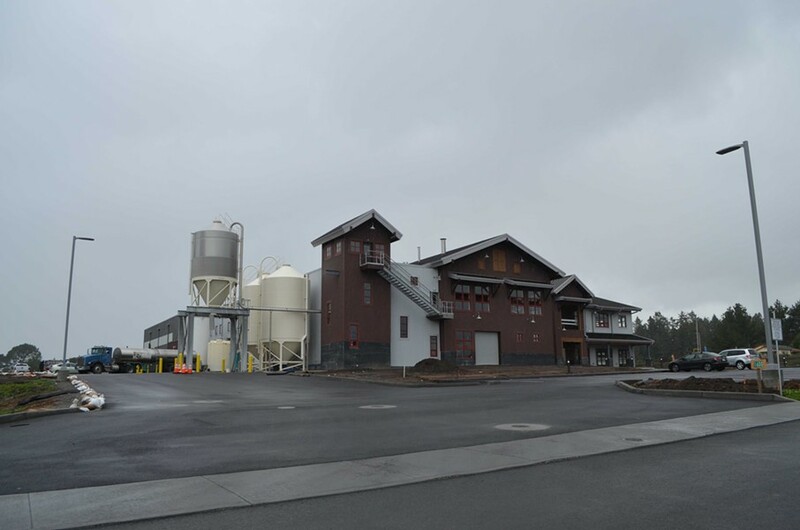 Lost Coast Brewery's new facility is located on the southern boundary of Eureka. It will feature a tasting room when opened. 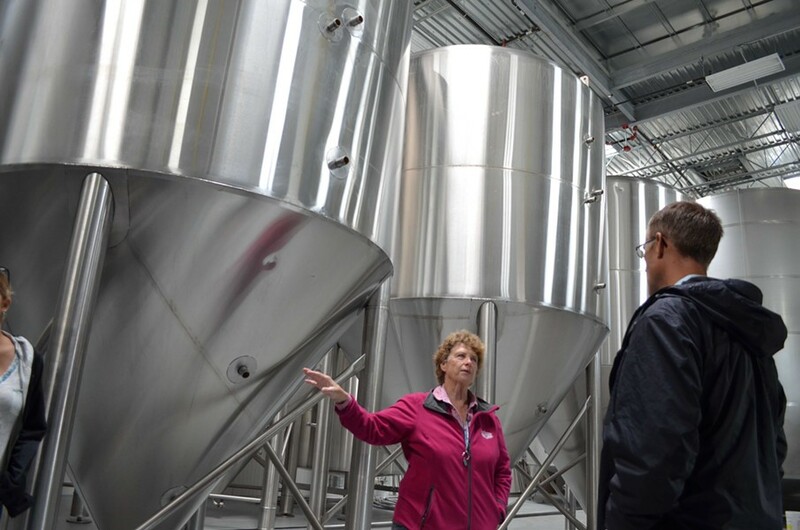 Congressman Jarad Huffman was in town last weekend for a fundraiser and tours that included one of the brand new, up and running, $27 million Lost Coast Brewery facility on the very south end of Eureka. 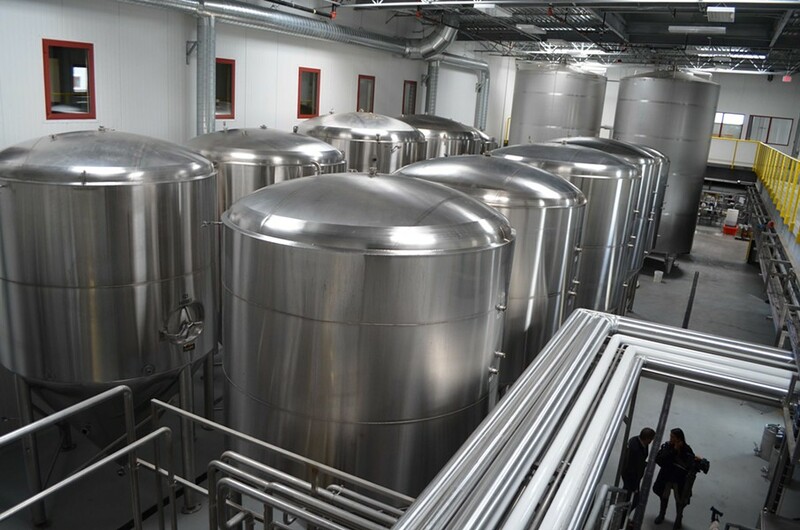 The huge new building (which has not been without its controversy) will replace the brewery’s current production line, and will allow the brewers — when fully functional — to produce four times the amount of beer. 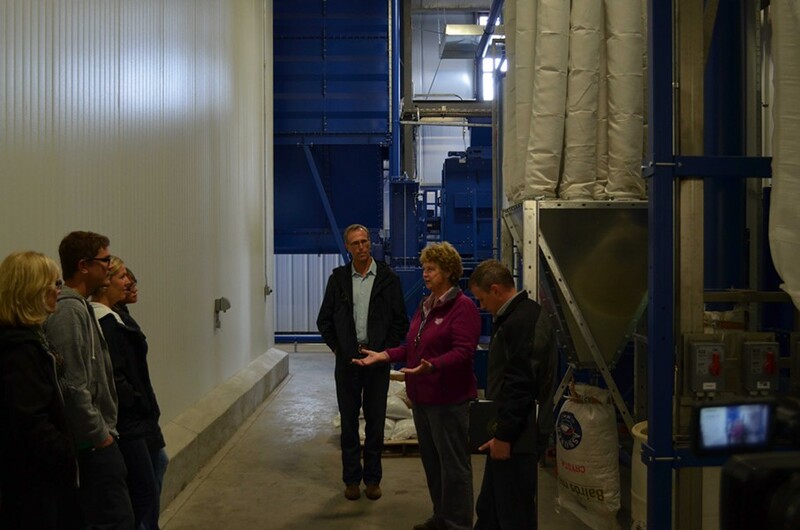 Congressman Jarad Huffman and brewery owner Barbara Groom talk in the sweet and earthy smelling grain room. 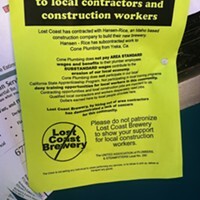 Lost Coast Brewery owner Barbara Groom told the congressman and other visitors that there are still kinks being worked out in the brewing and bottling lines, but the brewery’s flaship beers — sold widely in California, Florida, Korea and some European countries — are already being made there. 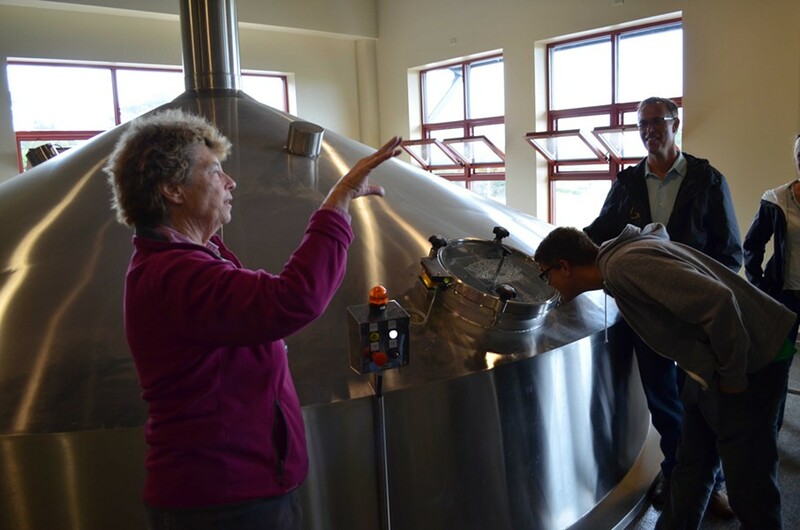 Groom had hoped to reduce the number of employees necessary at the new brewery, she said, but ongoing hiccups made it necessary to hire more. Groom is hoping to get up to 300,000 barrels per year when running at maximum capacity. That translates to roughly 99 million (12-ounce) bottles of beer per year. 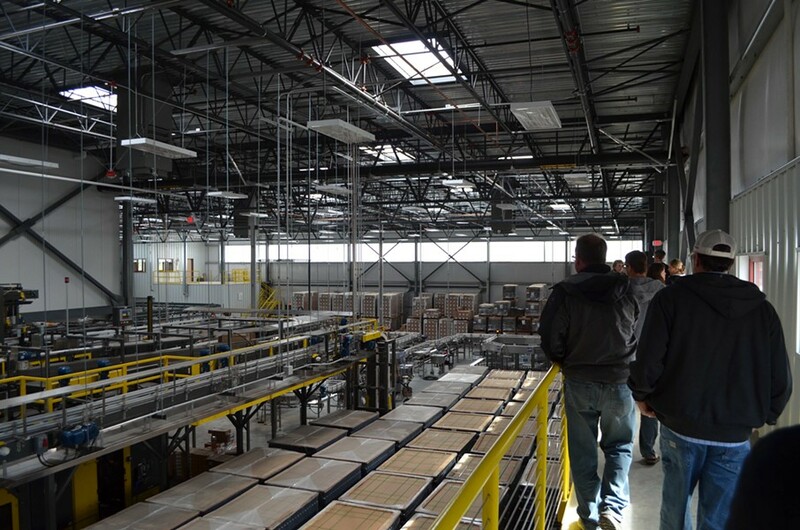 Checking out the sophisticated plumbing beneath the plant's boilers. Huffman said he has an "incredible congressional district" for craft breweries. Bear Republic Brewing Company, in Healdsburg, is trying to expand but having trouble finding the necessary water supply. 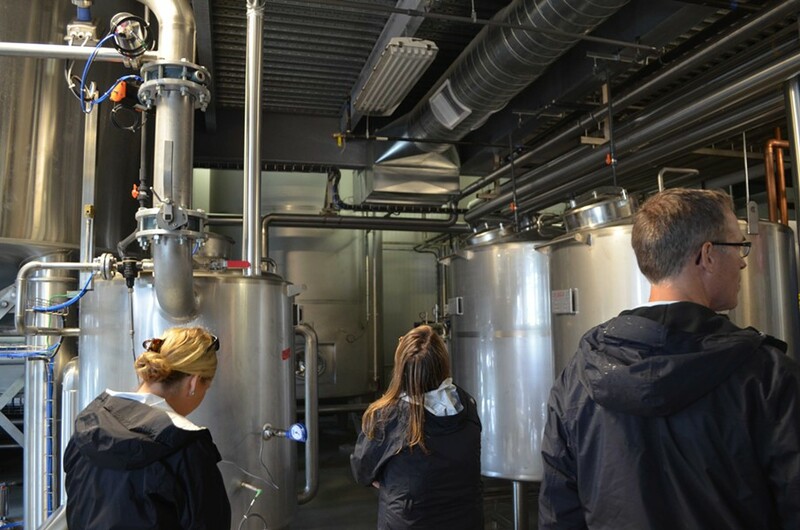 Groom shows off the brewery's fermentation tanks. Groom would like to get into the top 20 American craft breweries by volume -- Lost Coast currently hovers around #37 in the nation. 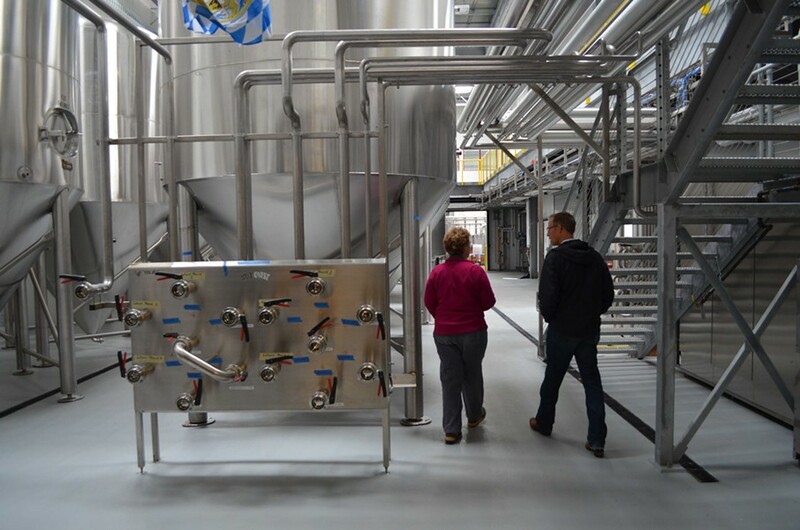 Visitors peer into the brewing tanks from above. 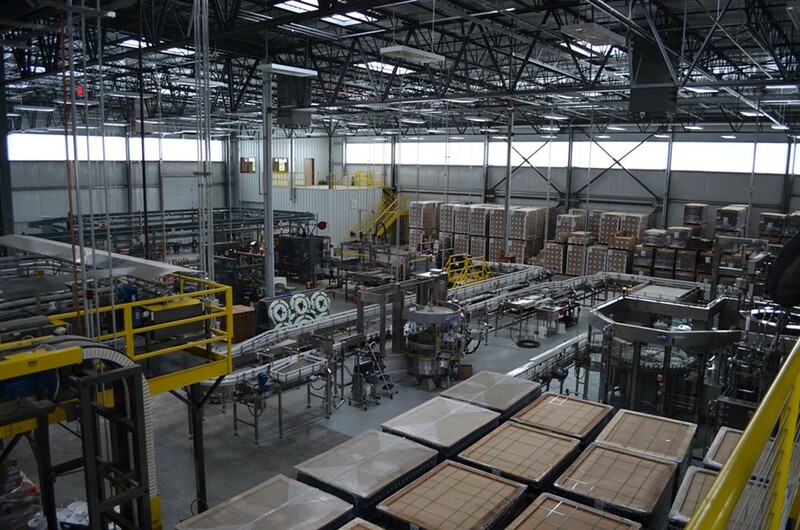 Lost Coast Brewery's bottling line can fill 450 bottles a minute, with high tech monitors to ensure fill levels and packaging are done correctly. The line was purchased from a German manufacturer. Groom anticipates adding a canning line in the next 18 months.